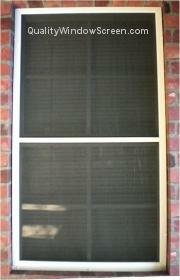 Solar Sun Screens normally cover the entire window for maximum cooling. 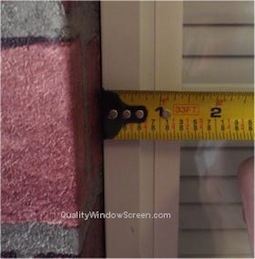 Check the Window for Screw Locations First. 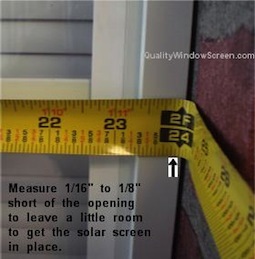 On this window there is over 1/2 inch on each side that screws can be put into to hold the solar screens in place. We normally put 4 screws. Two on each side about 6" to 8" from the top and bottom. 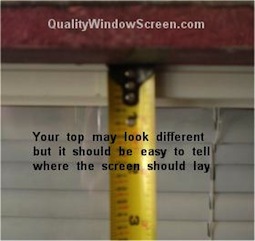 Your screw positions could vary and be on top and bottom instead of the sides. 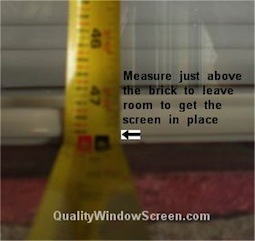 We are measuring 'almost' Brick-to-Brick but leaving just a little space to clear the brick or other surrounding material. 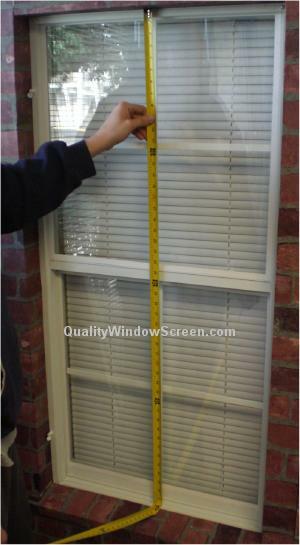 Place measuring tape to left side of window screen opening. 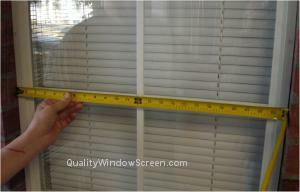 Measure to the right side and Subtract about 1/16" to 1/8" for clearance. 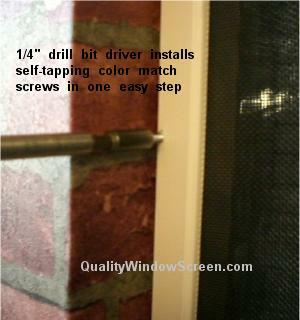 A 1/4" driver attached to a drill makes it easy to install the screws in one easy step. 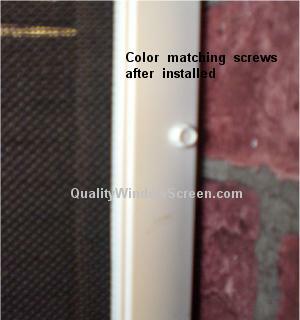 The screws are Color Matching and Self-Drilling. 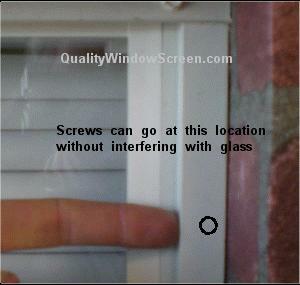 Picture of screw head after solar screens installation is complete. I've had many screens made by Quality Windows over the past several years, to replace old bent and torn ones - and most importantly, in the NH woods, to replace the standard screening with No-See-Um screening. The screens arrive quickly, as specified. If I need any more screens, I'll be back.